Scrap metal recycling is a profitable business where you do not even have to ?? the line. 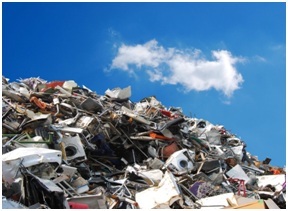 Read on to know how you can make the most of your scrap metal junk. Not all types of metals are bought by scrap metal dealers.. You need to know what type of metalsare acceptable to recyclers and that can earn you a profit. Is the metal you’re searching for worth your time?Stay up-to-date with the latest scrap metal prices as they change frequently. There are certain metals that sell a lot faster and at a higher rate in specific areas. It pays off to do a little research on what sells best in your area to make good money out of scrap metal recycling. Segregating as per metal type gives you a clear understanding about the different kinds of metals you own, and how much? Categorising your metals and organising them helps you to make more profit as you know how much should you get in return. A disorganised fortune metal or scrap metal pile often eats into your profit margin as you may not receive the right amount on exchange.